How a Valve Manufacturer Increased Capacity with a Modular Workholding System | Advanced Machine & Engineering Co.
Randy Walker, President of Carolina Precision Components in Valdese, North Carolina, needed a way to keep up with the dramatic increase that the company was seeing in its workloads. 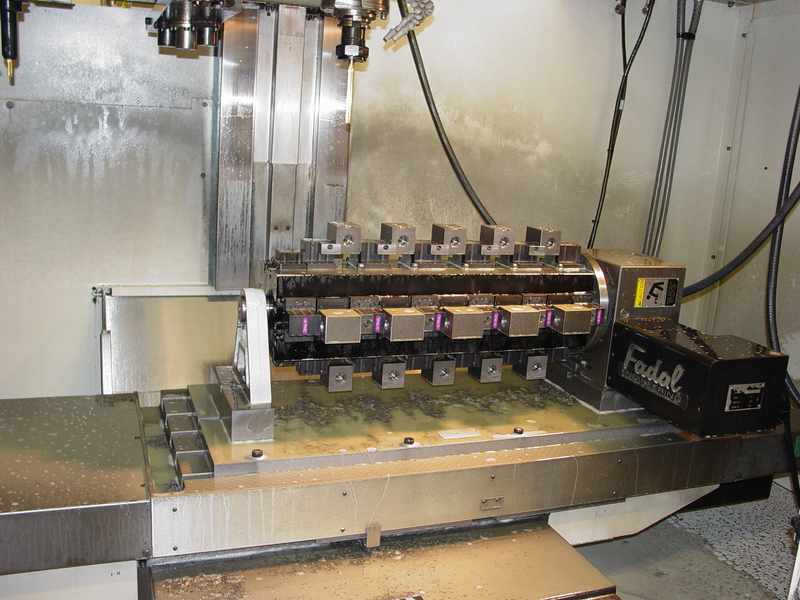 “We needed a way to increase capacity without buying another machining center,” explains Walker. “We saw the folks from Advanced Machine & Engineering (AME), Rockford, Illinois, at IMTS and discussed our application with Alvin, Goellner, applications engineer for AMROK. The shop used standard vises to hold workpieces, including various iron castings, and Dura-Bar continuous cast-iron stock; steel forgings; and aluminum billets. 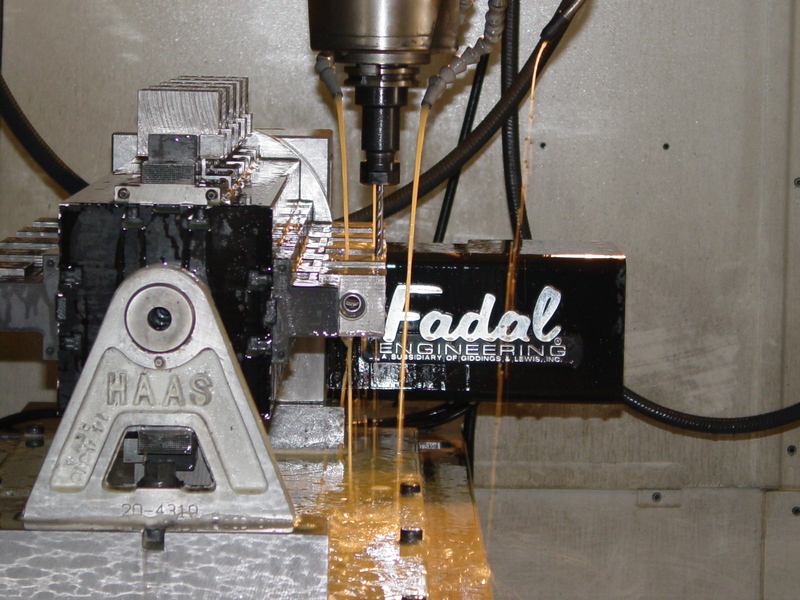 Each workpiece was positioned in a vise, machined, repositioned, checked, and machined again. Each time the workpiece was touched, it caused delays in the production process, and it cost the company in both dollars and efficiency. Goellner and his team suggested their TRIAG compact clamping system with an integrated trunnion. The clamping system allows continuous three-sided machining. It also eliminates much of the handling and machine downtime that occurs with traditional vises. indexer allows for continuous 3-sided machining. Since the TRIAG modular workholding system could be run with a standard rotary indexer, the implementation of the clamping solution immediately interested Walker and his team. “We saw the advantages of the system compared to others that we were considering. It was a big improvement from how we were doing things at that time. The decision to go with the modular workholding system was pretty easy,” he said. The TRIAG modular workholding system is comprised of a series of clamps affixed to base rails by alignment pins. Special jaws or dedicated fixtures can also be attached to the rails as needed. They can be anchored to the T-slots and located with the use of alignment pins in the positioning holes. According to Mike Smith, Carolina’s vice president and general manager, the modular workholding system allowed each workpiece to be machined on three sides with no stoppages. “On any square block, even large asymmetrical iron casting, we can set up the workpieces and cut in two ops what once took six. Just the time saved in handling is substantial,” explains Smith. Smith also discusses how Carolina runs part sizes ranging from ¾-in by 1-in square blocks, up to 3-in by 4-in by 8-in pieces, and the TRIAG system accommodates all of them. The gripper holes designed into the tapped jaw face and the four-point carbide grippers are reliable in positioning even in the heaviest workpieces, he said. Since the installation of the seven TRIAG systems on Carolina’s Fadal VMCs, Walker said his company is planning to install the same systems on two Haas VMCs the company recently purchased. He also said the service and after-sale follow-up from Goellner and the AME team made an impression on him. Since the installation of the modular workholding system, Walker has tracked Carolina’s productivity. His statistics show the company’s productivity in processes using the clamping system rose from 500 pieces per month to between 1500 and 2000 pieces per month on average.